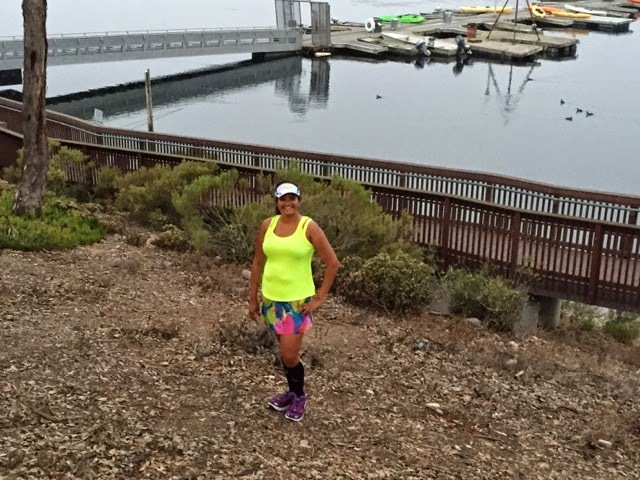 Running with SD Mom: Friday Fascinations: 2TOMS Sport Shield - Review & Giveaway! Friday Fascinations: 2TOMS Sport Shield - Review & Giveaway! As you may know, I was recently asked to be a Medi-Dyne ambassador. This is exciting for 8 million reasons but the main reason is that I LOVE their products. They have a ton of products in their arsenal inducing the Pro Stretch and brands like 2TOMS. Is that sounding familiar? 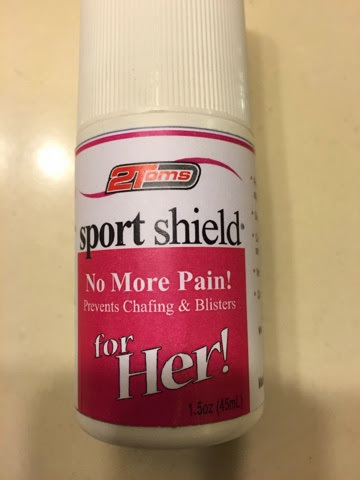 2TOMS makes the awesome amazing chub rub saving product -Sport Shield. 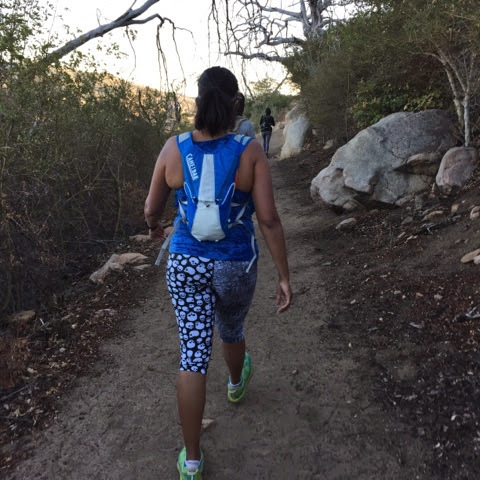 Ever since I started running in skirts and now that I use a hydration pack that goes on my back (CamelBak Marathon vest & OrangeMud Hydraquiver), I need to occassionaly use Sport Shield on my arms, shoulders, pits and of course, between the thighs to avoid chub rub chafing! 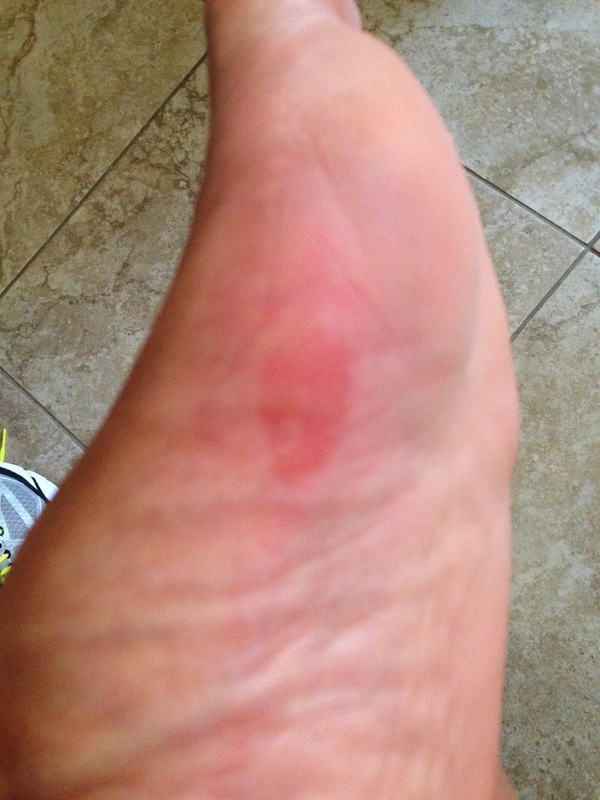 And remember when the Hoka Cliftons gave me that killer blister? I used Sport Shield for that too. Now, the awesome news. 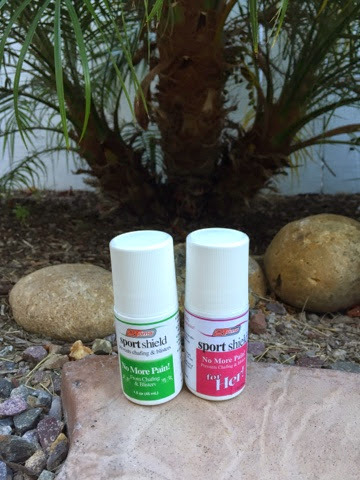 Sport Shield has come out with a product just for women. Sport Shield for Her! Still non toxic but this time, it contains aloe and Shea butter to moisturizer and soothe. Okay so it prevents friction from chub rub AND it moisturizes? All you need to do to remove it is to add soap and water! So to celebrate my ambassadorship with this AMAZING company with amazing products, I am giving you a chance to win BOTH a regular Sport Shield and a Sport Shield for Her! This product is BRAND NEW. You will be one of the first to EVER try it! I can't say enough good things about Sport Shield. I will say that I have never chafed anywhere since I started using this product in August of last year. That means in countless runs in skirts, different sports bras, shoes etc, I have never chafed! It is sweat proof and water proof and rolls on. After the initial roll, it dries and it doesn't feel sticky at all! Won't stain your clothes or anything. I really know what I am talking about because this is the only product of it's kind I have used for the last 1 1/2 years! 1. A comment for each time you share this post. Just leave me the URL (must be public). 2. Instagram or Tweet this image and leave me the URL link. 3. Visit Medi-Dyne's Facebook page and give them a LIKE and leave a comment saying you did and what name you used. 4. Visit the Medi-Dyne website and tell me what product intrigues you. 5. Join the Twitter chat (they will have a chance for you to win too!) on October 5 using #shieldyourself and #RunChat at 10pm Eastern / 7pm Pacific. Comment below and tell me you did. I will choose a lucky winner from the comments using a random number generator. If you don't want to wait to find out if you won, use code ASDM20 for 20% off anything on their site! No purchase necessary. Void where prohibited. 1 winner will be selected via a random number generator. Open to Residents of the United States & Canada 18 years of age or older. Must have a non P.O. Box mailing address. Winner will be provided the prize directly from Medi-Dyne (2TOMS). Substitutions unlikely but may apply subject to availability. I love their products too! I didn't know they had a womens version, I'll have to try that. I use the original under my arms, that's the main area I get chafing when I wear tanks and go for a long run. Need some for my thick thighs!! Id use it for my first half- Dec 20th! I'd definitely use it on my inner thighs, especially with running skirts or shorter shorts. Definitely also would use it for blisters (and good to know it works on those too). The Pro-stretch + definitely intrigues me...and since I've had issues with plantar fasciitis and IT band syndrome in the past, I think it would be something I could benefit from one day. I can start wearing shorts in the summer to prevent chafing when my thighs rub together and on my blisters too! Intriguing, sports shield for her!! Need it for NYC marathon!! I get some sports bra chafing, but might also try it for when I wear a skirt (not necessarily for running!) in the spring/summer. I'd use it for sports bra chafing, chub rub and the top of my ankle where sometimes my cycling shoes rub! I like the Pro-stretch, but I would love to use the sport shield around my sports bra. I would use it for the bottom of my feet and between my legs for running!! Wow, so many great options on the Medi Dyne site! 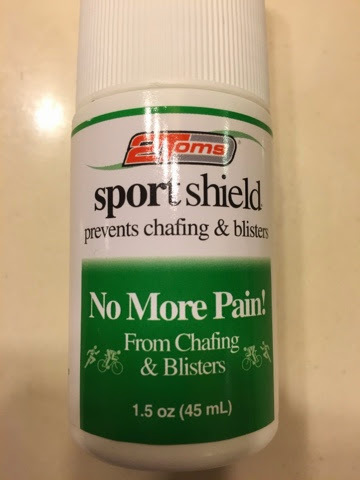 I rarely have chafing issues, but then again, maybe because I try to put something on my awful runner's toes so I stick to just losing toe nails instead of skin. Ha! I would use this on my inner knees and on blisters on my feet.